The exclamation above probably describes how you felt if you ever heard a “tick, tick, tick” when your washing machine rotated slowly followed by a loud rasping sound when it speeded up. Here is the featured image if you cannot see it. 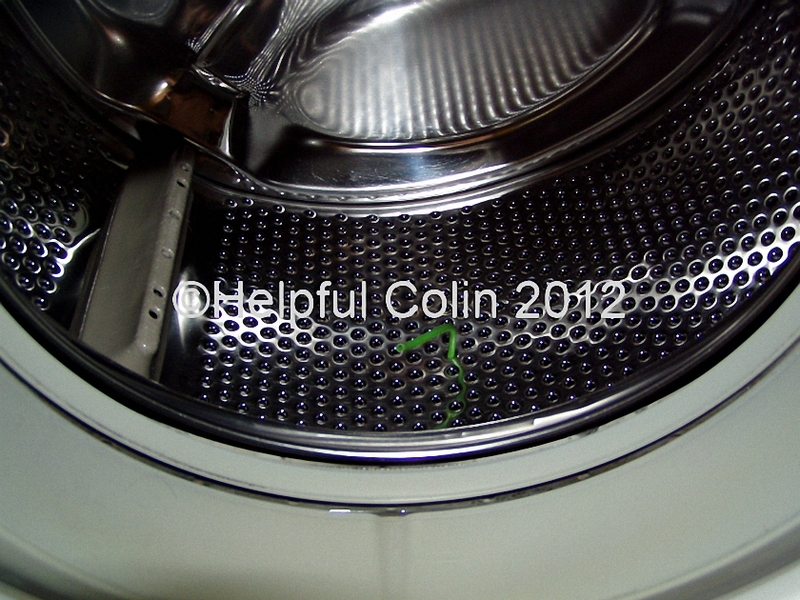 It can be very expensive to pay someone for removing a bra wire from a washing machine. The wire normally gets caught under the heating element which is situated at the bottom, between the inner drum (the one you can see through the door with all the holes) and the outer drum which surrounds it and holds the water. The wire can lie dormant and not touch the inner drum, but if you know it’s in there then that’s worrying. It can catch on the holes of the drum in such a way that it sticks through one, in which case you can probably grab it with your pliers and pull it out. If it pops through a hole while it is whizzing around it could do serious damage to the parts it is caught on, between the drums, or it could puncture the hose connecting the outer drum to the pump.